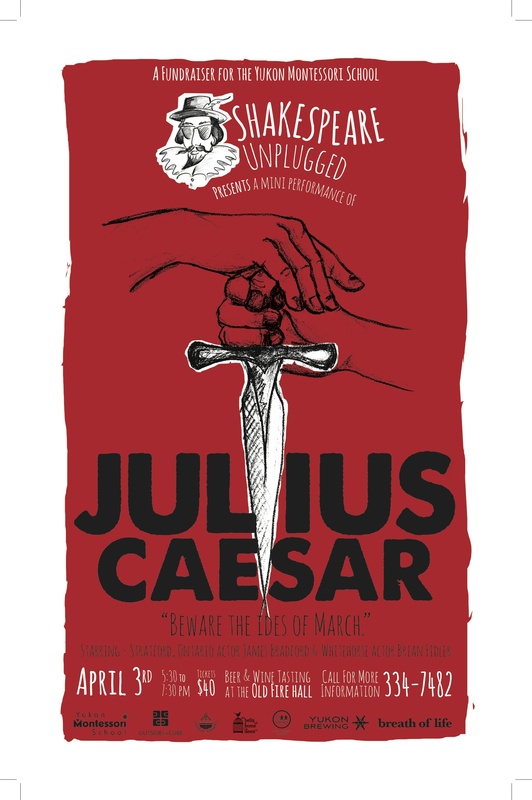 We are thrilled to announce that our Shakespeare Unplugged event at the Old Firehall was a great success! Close to 100 people joined us for some Wine (picked out by Peter Turner), Yukon Brewing Beer, some Cheese and a fun evening of light hearted Shakespeare. Thanks to our wonderful corporate partners and all those that bought tickets to the evening, we were able to raise $3500 for future arts & culture programming for the students. Thanks also to all of our fabulous parent volunteers that helped make this happen. Please check out some snapshots of the evening that were recently added to our Photo Gallery!